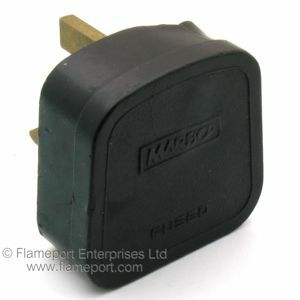 Large Marbo branded plug which has partially melted. This MARBO branded plug has been subjected to heat at some point, and has partially melted at the top edge. It is likely that the heat was created due to a loose connection on the line terminal, as most of the melting is in that area. A single screw holds the lid on. The two smaller screws are for the flex grip. Inside, the extent of the melting is clearly visible. 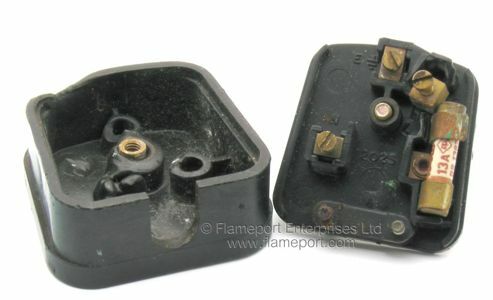 Both the base and lid have deformed, mostly in the area above the 13A fuse. 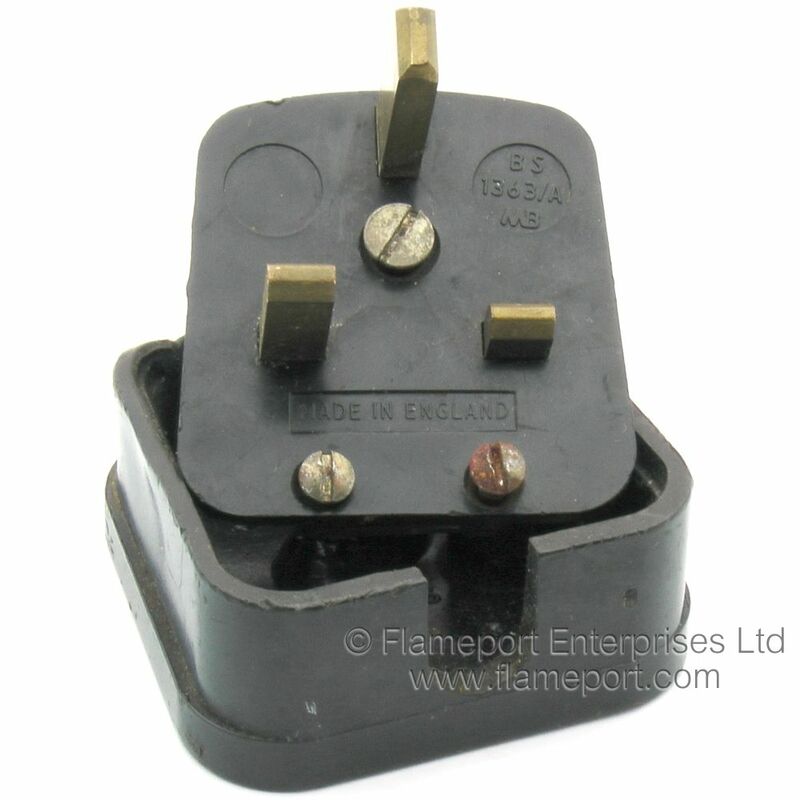 The terminals are marked L, N, E and the earth terminal also has the earth symbol. An additional number 2025 is moulded in the centre of the base. The pins are of the type which fall out - only being held in place by the lid. 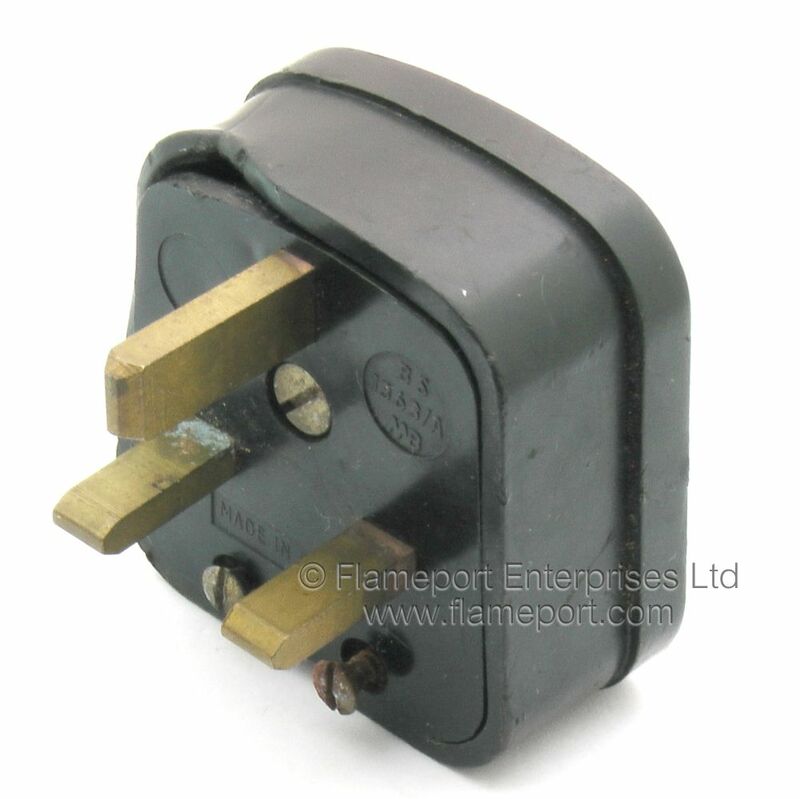 BS1363/A, MB, MADE IN ENGLAND.